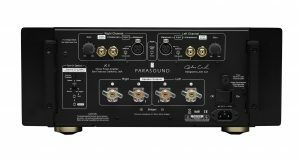 Parasound is showcasing and debuting the Halo JC 5 stereo 400 watt amplifier with its ‘outstanding sound quality and value’ at the Axpona (Audio Expo North America) this week in Schaumburg, IL. The John Curl-designed black slab is touted as incorporating ‘the soul of two Halo JC 1 monoblocks,’ and is claimed to deliver the essence of two top-of-the-line monoblocks in a single chassis of the same size. 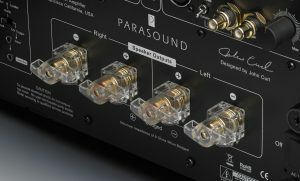 At roughly two-thirds of the price of a pair of JC 1s, the suggested retail price of the JC 5 is still an eye-watering $5,995, but with Parasound’s extraordinary track record of delivering bang-for-buck sonics, there will be little doubt that these pairs will do justice to any home theater or music setup. The new JC 5 combines high power and ultra-high bias Class A/AB sonic quality, according to the San Francisco-based audio experts. 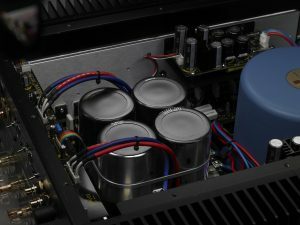 In 2003, Stereophile magazine awarded the JC 1 ‘Amplifier of the Year’ and honored it as a ‘Class A Recommended Component’ twice a year for fifteen years, longer than any other audio component. High bias class A/AB provides 12 watts per channel pure class A power and class AB to its 400 watts per channel 8 ohm rating. It can also deliver 600 watts per channel into 4 ohms, and it can be bridged to mono for 1,200 watts into 8 ohms. The output stage employs 24 beta-matched, 15 ampere, 60 MHz bipolar transistors to deliver a peak current of 90 amperes. The Halo JC 5 is direct-coupled, protected by DC servo circuits to eliminate coupling capacitors, while extending bass response down to 5 Hz. Its balanced inputs use discrete circuits with Neutrik locking XLR connectors, and Vampire 24k gold-plated RCA input and loop output jacks. Five-way “propeller” speaker binding posts are custom-manufactured for Parasound by CHK Infinium. They are 24k gold-plated and accept 7-gauge bare wire. The premium-quality 9 foot detachable IEC 12 gauge power cord features silver-soldered connectors. Parasound’s refined Halo design aesthetic is evident in the JC 5. Slim, hand-milled solid aluminum endcaps with gold highlights amplify its grace and elegance. 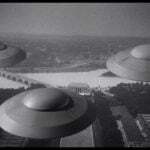 The JC 5 is available in silver or black. Rack mount hardware for its four rack space chassis is included. The net weight is 73 lbs. The unit will be available from Parasound US dealers and international distributors from June. The John Curl-designed JC line of amps are regularly commended by AV and stereo critics alike for their dynamics and audio quality which would usually command $ amounts in multiples of Parasound’s own pricing. If any Parasound owners here are thinking of taking the plunge with the new JC 5, let us know in the comments below.